MAKING his first appearance for MSS Colchester Kawasaki at Thruxton, Alex Lowes has signed with the team for the remainder of the season. After splitting with Team WFR Lowes was fortunate to join MSS Kawasaki after Stuart Easton was sidelined after the horrific crash at the North West 200. 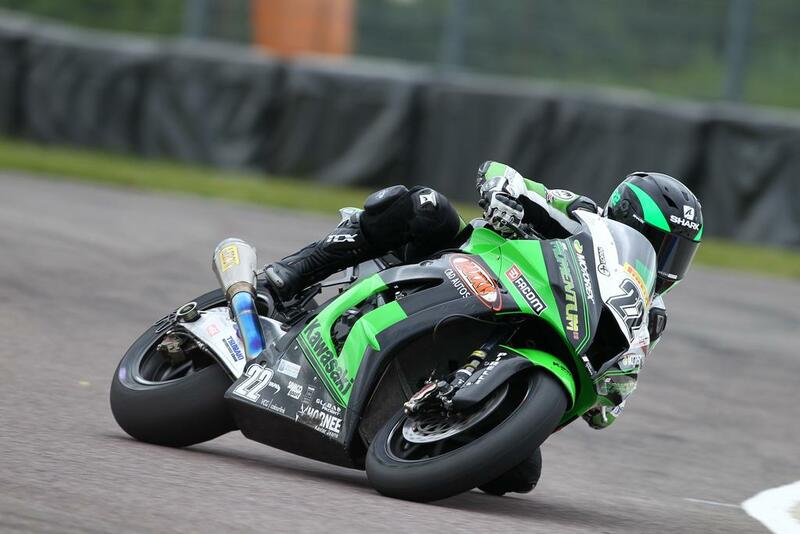 In his first ride aboard the Kawasaki ZX-10R, the Lincolnshire rider stuck the bike on pole position, claiming seventh and a DNF in the wet race at Thruxton. Should Easton be fit enough to return to racing this year, he is still secure in the team as MSS will increase their line-up to three riders. Injured in a practice crash at the NW200 less than a month ago, Stuart has been recovering in hospital from a broken pelvis, femur, hand and a ruptured bowel. Speaking about the accident, he said: “I’m starting to feel more comfortable, my appetite is starting to come back and they will be airlifting me to an Edinburgh hospital from here in Belfast, early next week. I’d actually be happy enough staying here the surgeon who did the work is close by but being back home and seeing my family will be great. "I’ll be honest, the first week was pure hell, lots of pain and I never wanted to see a bike again but now I’ve been watching the TT and GP, I know I love bikes and that’s what I want to do still. I’ve had another op on my leg to drain fluid and the external fixator should come off after six weeks. MSS Kawaski will also see the team staff increased with the appointment of Andrew Pitt as crew chief to Gary Mason. Commenting on the updates, team owner Nick Morgan said: “We’ve had a crazy few weeks as everyone knows and we’ve made some big decisions also. Stuart has definitely turned a corner and although he has a massive amount of work to do to get fit, he’s a real fighter and the care has been superb. Obviously this weekend is his home race at Knockhill so we’ll all be thinking of him even more. "We’ve signed Alex Lowes as Stuart’s replacement whilst he recovers. Alex really is a talent and it would be madness to let him go. Alex’s ride first time out at Thruxton was a dream start, right up until his crash anyway! "We’ve also taken on Andrew Pitt to be Gary’s Crew Chief; he is a mega experienced racer and will be a great point of contact for Gazza and an asset for the team as a whole. Gary will definitely be back with confidence at Knockhill, Thruxton was a ‘bitty’ round for him for sure and we solved the problem that he had in race one."